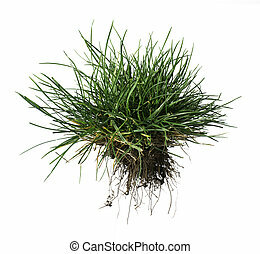 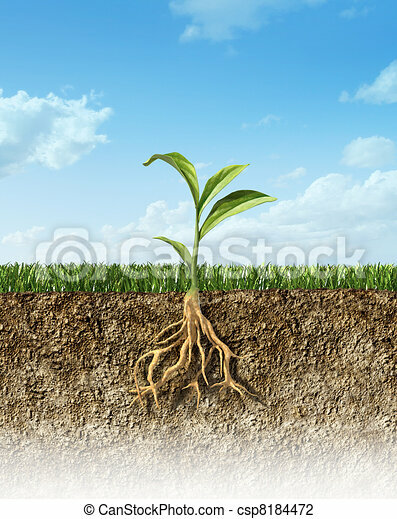 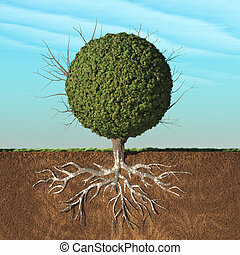 Cross section of soil with grass and a green plant in the middle, with its roots. 3D isometric illustration of cross section of a landscape park with a river flowing there, bridges, benches and lanterns. 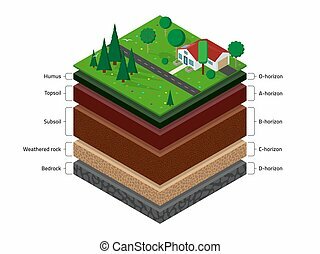 Soil in the section for the study of geological layers. 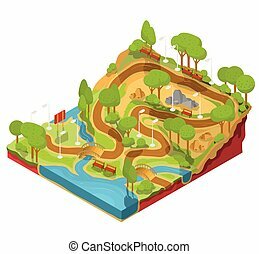 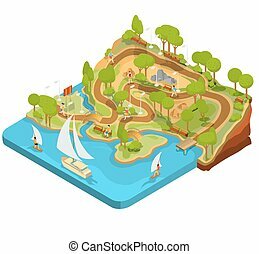 Vector 3D isometric illustration of cross section of a landscape park with a river flowing there, bridges, benches and lanterns. 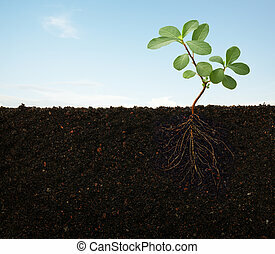 Soil in the section for the study of geological layers. 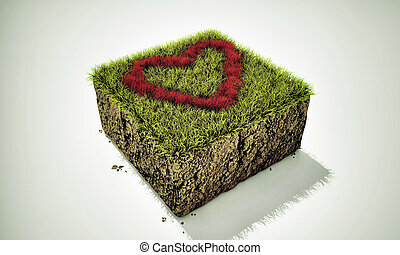 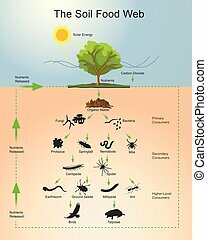 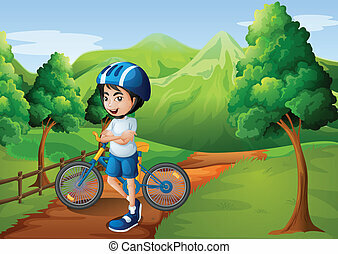 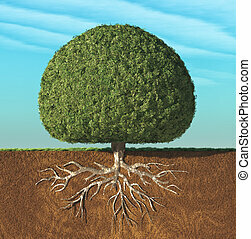 Isometric named layers of soil with a top layer of green grass, house, forest, garden and road on it. 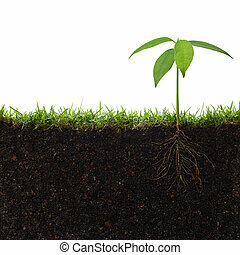 The stratum of organic, minerals, sand, clay.